Big shout-out to our current Davis Meet Weekend Sponsors! Interested in joining the team as a Sponsor or Volunteer? Check out the event website for the latest details and Contact Us! Hope you are well and as excited for the Davis Meet Weekend as we are! 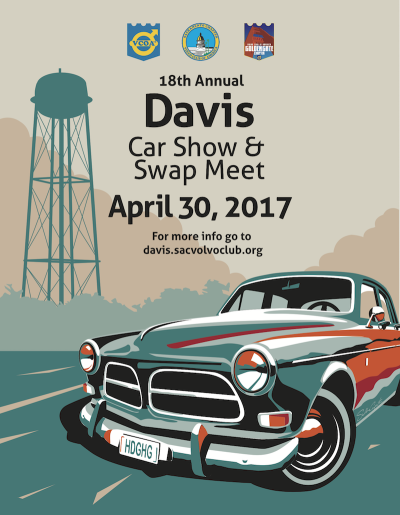 We look forward to seeing you all on Saturday, April 29th for the A-La-Carte Events and Sunday, April 30th for the 18th Annual Davis Car Show & Swap Meet. -Which hotel / motel is event headquarters? -Do you have group rates arranged at any hotels for this event? To date, we have not arranged group rates with any Hotels or Motels as we have three participant recommended lodging locations to help accommodate different budgets and needs (Hotel, Motel, and Trailer / Car Camping). Note, that I have recently received word from a member that the participant recommended Hotel is already fully booked for Friday, April 28th and Saturday, April 29th. Feel free to call and confirm (in case of any last minute cancellations, etc.). -City of Davis and other Nearby Cities links and resources. If you are on Facebook, please feel free to network for Hotel / Motel ideas there! If interested in the participant recommended Motel option, check out the Turbobricks Forum community for more information (as someone usually organizes a group rate and/or reservation). 2017 Davis Meet Weekend Important Dates added to the Sac Volvo Club Event Calendar.